Connector: Male & Female. 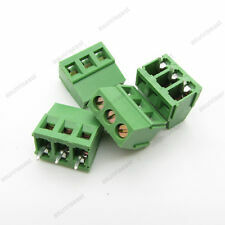 Quantity:5PCS Male Connectors 5PCS Female Connectors. 10 PCS (5PCS Male & 5PCS Female Connectors). Type of connector: Straight. Colour: Black. Type of Row: Single-Row. Pitch: 5.08mm. Pin header material: Brass, Tin plated. Convenient to connect wires. Insulation resistance: 5000MΩ/1000V. Color: Blue. Screws material: M2.5 steel Zinc plated. Housing material: PBT, UL94V-0. * Inlet Male Power Socket with Fuse Switch 10A 250V 3 Pin IEC320 C14 * 3 pin IEC320 C14 plug, 7 terminals, is used widely in lab equipment, medical devices, fitness equipment, industrial automation equipment, etc. * Use only with a 250V fuse. * Material (External) : Plastic, Metal * Color : Red, Silver Tone, Silver Tone * Weight : 22g * Package Content : 1 x Power Socket w Switch Fuse Brand Unbranded MPN Does not apply UPC 4894462011096. Specification Screws: M2.5 Steel Zinc plated Wire Guard: Stainless Steel Pin Header: Brass, Tin plated Housing: PBT, UL94V-0 Rated voltage: 300V Rated current: 16A Contact resistance: 20 mΩ Insulation resistance: 5000MΩ/DC1000V Withstanding voltage: AC1500V/1Min Wire range: 24-14AWG 2.5mm2 Temperature range: -40℃ to 105℃ Torque: 0.5Nm(3.6lb.in) Strip length: 4.5mm to 5.0mm Package Include 40Pcs X Terminal Blocks;. Impact resistance, corrosion resistance and oil resistance. 22 A.W.G. 0.5MM² E0506 100 Pcs. 18 A.W.G. 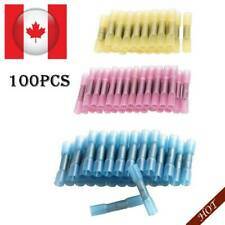 1.00MM² E1008 50 Pcs. 16 A.W.G. 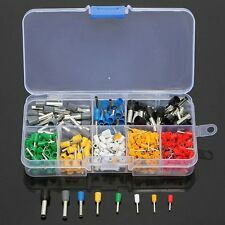 1.50MM² E1510 25 Pcs. 20 A.W.G. 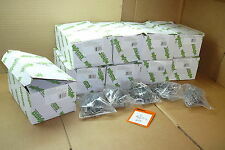 0.75MM² E7508 50 Pcs. 12 A.W.G. 4.00MM² E4012 25 Pcs. Connector: Female. Pitch: 2.54mm. Raspberry Pi. 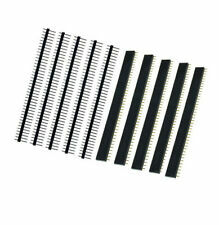 10PCS 40Pin 1x40P Single Row Pin Header Strip 2.54mm Pitch. Number of Pins: 40Pin. 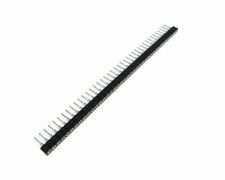 10 x 40Pin 2.54mm Single Row Straight Male Pin Header Strip PBC Ardunio. Gender of Connector: Male. Pitch 2.54mm. Type of connector: Straight. 6/8/10mm drill guide Wood Panel Hole Puncher for Center hole dowel drilling. Leather Craft Half-Round Cutter Punch Strap Tools Belt Wallet End DIY 5-50MM. Garden Auger Spiral Drill Bit Flower Planter Yard Bedding Planting Hole Digger. Number of Pins: 8Pin. 8 pin DIP IC Sockets Adaptor Solder Type Socket. 50x 8 Pin DIP8 Integrated Circuit IC Sockets Adaptor Solder Type. Pitch: 2.54mm. 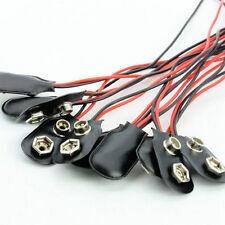 50pcs（25 pairs） x quick splice wire connector (other accessories are not included). Use with the male quick disconnect for easy safe splicing into wires. Quantity: 50pcs （25 pairs）. Widely used in the wire connection. 1x Female Socket Panel. 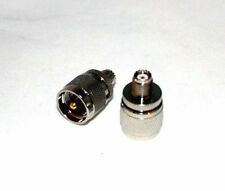 Plug size:5.5 2.1mm. Due to the difference between different monitors, the picture may not reflect the actual color of the item. Pitch 2.54mm. - Gender of Connector: Female. - Type of Row: Double-Row. - Type of connector: Straight. We will leave it for everyone that leaves it for us. 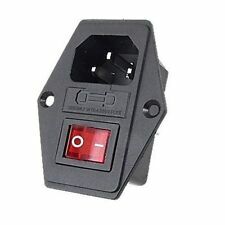 10pcs 30A Amp 600V Power Marine Connector. 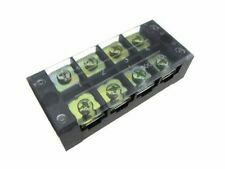 These excellent connectors are very popular for DC power use among radio enthusiasts and professionals alike. 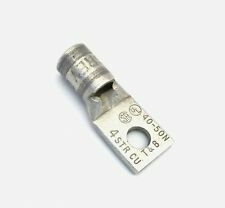 They are ideal for replacing 4mm plugs or expensive proprietary connectors and can carry enough current for a 100W transceiver. Pin Length: about 11mm. Pitch 2.54mm. Plastic height: 8.5mm. We will leave it for everyone that leaves it for us. 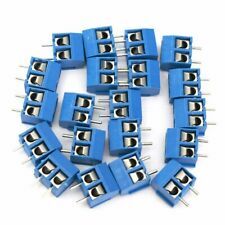 100Pcs Jumper Wire Cable Female Pin Connector. 100Pcs Jumper Wire Cable Male Pin Connector. 30Pcs Connector Housing Female 2.54mm 1x1P. 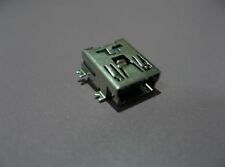 20Pcs Connector Housing Female 2.54mm 1x2P. 20Pcs Connector Housing Female 2.54mm 1x3P. 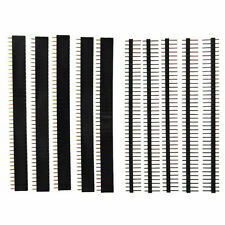 20PCS 40 Pin 2.54mm Right Angle Single Row Pin Header PCB For Arduino. Number of Pins: 40Pin. Pitch 2.54mm. Type of connector: Right Angle. Type of Row: Single-Row. Use: DIP IC Socket. 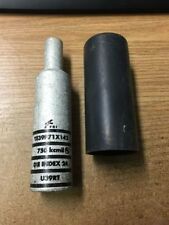 Type: Solder Type Socket. 18 x 6 pins-DIP IC Sockets. 12 x 8 pins-DIP IC Sockets. 6 x 14 pins-DIP IC Sockets. 6 x 16 pins-DIP IC Sockets. 6 x 18 pins-DIP IC Sockets. 6 x 20 pins-DIP IC Sockets. 1900pcs Set Insulated Cable Lugs Wire End Sleeves Ferrules. 1900pcs Insulated Cable Lugs. Note: The real color of the item may be slightly different from the pictures shown on website caused by many factors such as brightness of your monitor and light brightness. Cable Range 3-6.5mm / 0.11"- 0.25". Material Plastic. Color Black. Strip Length: 9-10mm. Current Intensity: EN 32 A. Compact connector with levers. Quick - direct plug, plug the wrong can be pulled out, followed again;. Size:2 Way: 20.5 x 12.4 x 14.5 mm(LxWxH). We will reply you ASAP. Better than ordinary gold-plated, ordinary spring lock is more loose, and the pin when heated easy to fall off. Foot distance: 2.54mm. 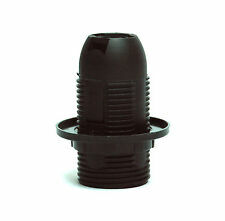 6x 40 Pin Cambion Wire Wrap Socket (Leaf Spring, Tin Finish) Ships from Canada! Compatible With LEMO FGG EGG0B Serie Push/Pull Aviation Connector. 4Pin Circular Push Pull Aviation Connector 1Set. (1) The above table is for reference only. Rate(item arrived). United Kingdom. United states. Ampere: 3A, 6A, 10A. 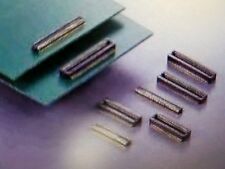 Resistant to high temperatures and high pressure, high impact resistance. Each position will accept two lines. Size: approx. 88 14 11mm, 103 16 12mm, 109 17 13mm. Can be cut to the desired length. SILVER +GOLD PINS NIXIE Tubes IN-18 IN-15 IN-12 IN-4 IV-12 IV-22 PCB socket 50p. SILVER PLATED PINS for NIXIE Tubes IN-18 IN-15 IN-12 IN-4 IV-12 IV-22 EL84 6n23p,12ax7,6n2p,6n1p. PCB socket 50pcs. SILVER PLATED PINS! Male 2 Pin DIN connectors Plugs. Simply strip wires, and screw into place. 10 x 2 Pin Plugs. neutral or. Weight: Approx 5g / Each one. We will provide you service as best as we can, because the. Micro USB Type B 180 Degrees DIP 5Pin Female Socket 10. Type:Micro USB Type B 180 Degrees DIP. United Kingdom. Rate(item arrived). SM 3Pin 22AWG 15cm Wire Male and Female Connectors 10Pairs. Quantity: 10Pairs(20Pcs). Wire Gauge: 22AWG. Type:SM 3P Connector. Rate(item arrived).